We have German immigrants and Prohibition to thank for how we drink beer. Beer is the most popular alcoholic beverage in America — and has been for a very long time. That got us thinking about the history of beer in this country, and how its production and consumption have changed over time. 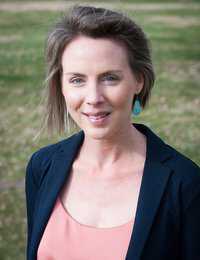 So, we talked to Theresa McCulla, the historian of the American Brewing History Initiative at the Smithsonian’s National Museum of American History. (Yes, the Smithsonian has a beer historian.) She filled us in on how everything from immigration to Prohibition to today’s microbreweries have changed America’s relationship with beer. What does the early American beer scene look like? Who's making it? Who’s drinking it? How much are they drinking? In colonial America and until the mid-19th century, Americans drank prolifically. They drank a variety of things. Most popular was hard cider — typically around 10 percent alcohol — as well as imported wine and rum, which became especially popular beginning in the early 1700s. They brewed what was called “small beer” in the home, which had a very low alcohol content — about 1 percent. Beer, like cider, was very much considered a domestic product; it was something that women typically made in the home. In the slaveholding South, the household’s brewer was likely an enslaved person. Beer wasn’t considered a special product; it was something that was drunk by everyone all the time. When did an American beer industry begin to emerge? The mode of beer consumption changed a lot from the mid-19th century onward. The 1840s marked the beginning of a large wave of immigration from what we know today as Germany. Immigrant German men came and transformed brewing into a professional industry in America. For the first time, you have truly large-scale breweries in urban centers around the country. And they're brewing for a new class of workers — which is another important trend. After the end of the Civil War, you have an increasing number of people who are going to work for wages in factories. At the end of the day, they have a little bit of money to spend. They take it to the corner saloon, which becomes a very important place socially — especially for immigrant groups who are new to America and might not speak English. It's a great place to find someone who perhaps is from your own hometown, and maybe has advice to share about a place to work in this unfamiliar new city, or thoughts on the current political scene in America or back home. 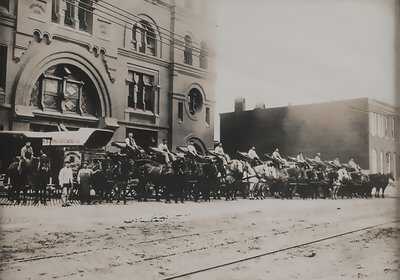 Horse-drawn beer wagons with teamsters at the reins line up in front of Baltimore’s John F. Wiessner & Sons Brewery in 1911. Credit: Walter Voigt/National Museum of American History, Kenneth E. Behring Center. So most of this beer is being brewed by German immigrants. Is beer considered a German product, or an American one? I think that Americans who went to those kinds of saloons understood that what they were drinking was produced by a German brewer. That being said, brewers created an abundance of regional styles. Overall, though, brewers of this era produced a lager beer that required a different kind of yeast and a different brewing method than the previously common British-style ales. Germans produced a very effervescent and light beverage that was enjoyable and easy to drink. These immigrants also brought with them a Biergarten atmosphere that became very popular among all kinds of Americans. In the mid- and late-1800s, German beer and places to enjoy it were really embraced by Americans. That changed with World War I, when Germany became the enemy on the battlefield. Then these breweries, whose beers people had grown up drinking, or had come to have an affection for, suddenly came to be seen as a kind of foreign entity within American borders. So it was with the coming of the war that the ethnic nature of breweries became something for Americans to note. 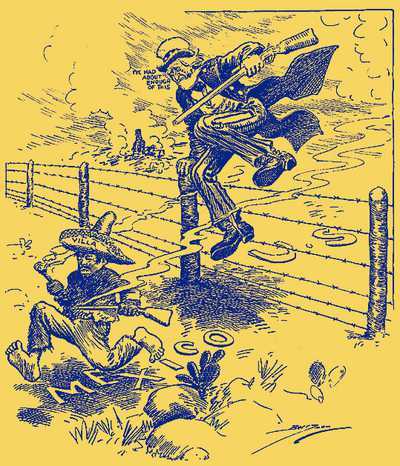 This antipathy towards people who were not considered “American” was one factor that led to Prohibition. What was the relationship between the breweries and the saloons before Prohibition? Saloons were really the primary mode of distribution for beer at the time. Mid-19th century brewers packaged their beer in barrels, loaded them onto horse-drawn carts, and brought them down the street to the network of saloons that might be within a small radius of the brewery. Many breweries essentially sponsored these saloons, supporting them financially if the saloons served their beer. They also supplied all kinds of ornamentation within the space — colorful serving trays, for example. Saloons became a kind of advertising mechanism for breweries. You ended up with a system in which many of the saloons relied on the brewing industry in order to survive. That was one of the reasons why you have a major collapse of saloon culture during Prohibition. Advertisement for Budweiser beer, Anheuser-Busch, St. Louis, Mo. Credit: Warshaw Collection of Business Americana, National Museum of American History, Archives Center. Prohibition goes into effect in January of 1920. How do breweries and saloons react? Do they think it will last? There were differing opinions about it — and that’s reflected in the ways that breweries and saloons dealt with the challenges of Prohibition. The biggest brewers tried to weather the 13 years that Prohibition lasted by redirecting their infrastructure to different uses. So companies like Anheuser-Busch made a malt extract syrup for home brewers; Pabst used their refrigerated facilities to store cold products like cheese and sodas; and Schlitz brewery made chocolate. Some also made non-alcoholic “tonics” that contained hops or malt but did not count as intoxicating beverages. Consumers tried these things at the beginning of Prohibition but soon switched to sweet beverages like Coca-Cola. The growth of soda fountains and ice cream parlors during Prohibition was quite important. They provided a new, more wholesome setting where families could go together to enjoy a drink or a sweet treat. One study found that in Grand Rapids, Michigan, one third of the saloons tried to wait out Prohibition by serving other things; one third of them closed; and another third of them converted to ice cream parlors. Prohibition ends in 1933. What is the state is the American beer industry at that point? Prohibition was completely devastating to the American beer industry. One study counted more than 1,300 breweries before Prohibition and barely 30 after repeal, though reported numbers vary. Generally, the bigger breweries fared better than the smaller ones. They had resources at their disposal that allowed them to invest in modernizations to their facilities that smaller brewers could certainly never afford — whether you're talking about refrigeration or fleets of vehicles to transport their products. By the end of Prohibition, they were poised to take advantage of the market, and you see a shift from local beer culture to a national network of producers. The way mid-20th century breweries conveyed their beer to consumers changed, too. Before Prohibition, brewers distributed their beer in barrels, for the most part. After Prohibition, you have a big increase in bottling and canning. One scholar estimates that as of 1935, shortly after Prohibition, one third of beer was packaged; by 1940, one half of beer was packaged; and by 1960, 80 percent of beer was packaged. And that switch from unpackaged beer to packaged beer had quite a lot of interesting social implications. If you’re drinking beer from a barrel or a keg, you’re most likely in a communal setting like a bar, pub, or tavern, and you're probably drinking with other people. But packaged beer can be transported by highway right to your grocery store. Also, by the 1930s, refrigerators became much more prevalent in American homes, and once you have a fridge, then you can store your canned or bottled beer at home. So now you’re taking your beer home and drinking it in your living room or private, fenced-in backyard. Especially as radio and eventually television became more popular, consuming beer became much more of a private activity. 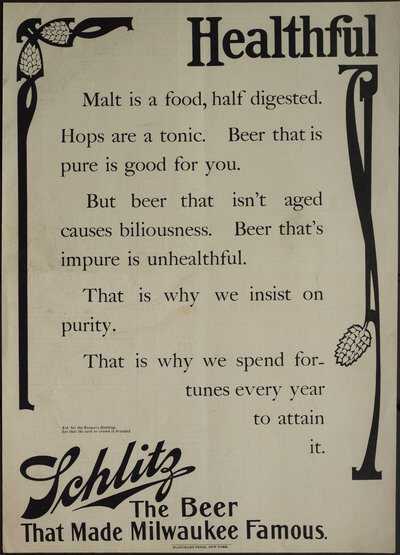 Advertisement, Schlitz Beer, Milwaukee, Wi. Credit: Warshaw Collection of Business Americana, National Museum of American History, Archives Center. Does the number of breweries rise again in the decades after Prohibition? In the early 1930s, Americans were very excited to celebrate the end of Prohibition. Many rushed to get licenses for new breweries, thinking it would be easy to cash in on consumers’ thirst. But brewing has serious sanitation requirements. Many of these new brewers did not know how to brew well. They brewed bad batches, causing several food poisoning scares, which turned customers off of beer. 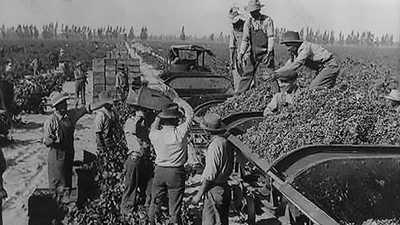 Prohibition was also repealed in the midst of the Depression. Despite early high hopes, many breweries soon found themselves in big financial trouble. This all led to industry consolidation. By the late 1970s and early 1980s, a handful of very large brewing companies produced upward of 90 percent of the beer Americans drank. They produced a homogeneous style of beer — light, sweet, and pale. Home brewers and eventually craft brewers came to resist this. In the late 1960s and early 1970s you have the first hints of a craft beer movement. What does the American beer scene look like today? According to the Brewers Association, approximately 71 percent of the volume of beer consumed in America continues to be large domestic production. Seventeen percent would be imported beer. And the other 12 percent is domestic craft production. But the number of breweries in America is at the highest point ever and growth is coming from the bottom, with the little guys. There are over 5,000 breweries now and many more in the planning. Globally, the U.S. is now very much the epicenter of the craft or artisan beer movement. That is a new phenomenon. I would argue that it’s unique for American food or drink culture to be the reference point for the rest of the world. Relatively recently, just 50 years ago, when there wasn’t a diverse range of beers being made in America, brewers looked elsewhere for inspiration. But now brewers around the world look to America. They come and do internships or stages in American breweries to understand how they can bring those kinds of innovative methods back home. With these kinds of cultural exchanges and with all that’s happening from a business perspective in the beer world, it’s a fascinating moment be studying beer. This interview has been edited and condensed for clarity. Published December 2017.